China’s largest ride sharing firm Didi Chuxing has invested an undisclosed amount in Dubai based ride hailing firm Careem. Careem, a Middle East rival to Uber, offers services to 12 million customers in 80 cities ranging from Pakistan to Turkey, Lebanon, Saudi Arabia, Jordan, Egypt, and Morocco. “Our partnership will enable us to share knowledge and resources about various topics, including intelligent transportation technology, products and operations, helping to accelerate mobility in the region,” Careem said in a statement. Both the parties will collaborate by sharing information on transportation technology, product development and operations. “Through technology exchange and co-development, we look to support continued growth and transformation of the region’s transportation industry, tap into the significant potential of the local internet economy and foster more innovative services for a broader network of communities around the world,” said Didi Chuxing founder and CEO Cheng Wei. Didi is looking to give tough competition to ride-sharing pioneer Uber via a string of partnerships with regional players in the Southeast Asia, Europe, Africa and now the Middle East. 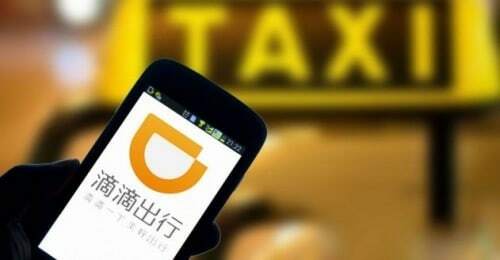 Previous investments by Didi Chuxing in taxi aggregators include a $100 million investment in Lyft in September 2015. Didi has also invested in Indian player Ola, Southeast Asia’s Grab, Brazil-based 99. Last week, Didi Chuxing invested in Taxify, a ride-hailing company based in Europe and Africa.